The University of York is based in the historic city of York in the North of England. The city has a population of 200,000 and is a vibrant and culture-rich city with museums, galleries, theatres, cafes and restaurants; it is a popular tourist destination famous for its Roman Walls, Viking and Medieval heritage as well as the iconic York Minster. There are two airports near to the University of York. Leeds-Bradford International Airport has flights to 26 destinations including London and destinations in Europe; journey time by road or rail is under an hour. Manchester Airport is just over two hour’s drive, or one hour and 40 minutes by rail, and is one of the UK’s major international airports providing flights to Dubai, New York, Paris and Singapore and more than 200 other destinations. York is 215 miles from London. The average lowest temperature in and around York is -.5 degrees in January and 18 degrees in July. York has been a centre of learning since Anglo-Saxon times and for more than 200 years York’s leaders talked about establishing a university. That ambition was finally realised in 1963 with the opening of the University of York with 200 students. The University was initially made up of three locations. These were the historic Kings’ Manor in the city centre; Heslington Hall which originates from the Tudor era; and work began on developing the Heslington Campus which now forms the main part of the University. The founding principles of the University of York as set out by Baron James of Rusholme, the university’s first Vice-Chancellor, were that is should be collegiate in character, with deliberate limitation on the number of subjects, with teaching done via tutorials and seminars. In 2009, an extension was completed to the main campus at Heslington known as Heslington East. In 2013 construction work began on a ninth college, named Constantine after the Roman Emperor who was proclaimed Augustus in York in 306 AD. 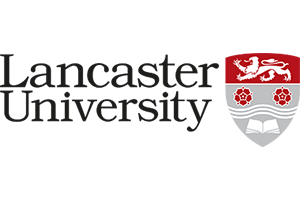 York University is based around the 200 acre Heslington campus which is approximately 20 minutes walk or under 10 minutes by bus to York city centre. There is also a smaller University campus cluster, Kings Manor, in the heart of the city centre where the departments of Archaeology, Medieval Studies and Eighteenth Century Studies are based. University of York is ranked =51st in the National Student Survey Satisfaction rankings. There are approximately 3,600 international students at York University, coming from more than 120 countries, representing 23% of all students. Pathway entry for international students-for more information, please visit Pathway & Foundation page. York University has just under 16,000 students, 11,800 undergraduates and just over 4,000 postgraduates. 91.7% of York University graduates enter directly into work, further study or training within 6 months of graduation (source:HESA). A breakdown of post graduation employment by course, showing the split into professional/managerial positions, rather than general employment figures, is available from Unistats an independent source of university data. For more information, please visit the REF Information page. There are 170 societies for students to join at the University of York; these include economics, comedy, philosophy, samba and world cinema. The campus has many bars, cafes and restaurants, two supermarkets and dedicated music halls and drama spaces. The main building of the Student Union has recently been upgraded, with a new bar and cafe. Sport is catered for at The York Sports Village which is a large complex with an eight-lane swimming pool, floodlit football pitch, fitness suite, air-conditioned studios and spa facilities. There is a health centre on campus where students can register with a health practitioner; there is also Nightline which is a listening service run by students, and Open Door, an emotional and psychological support service. A variety of accommodation is provided by each of York’s colleges. The starting price for a single bedroom with shared bathroom is £106.00 per week. An example price for catered accommodation is £173.00 at James Hall. 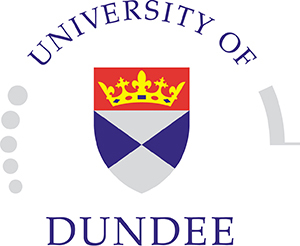 Fees for full time undergraduate courses start at £17,120 for most Arts, Humanities, Social Sciences, Business related degrees & Maths rising to £21,330 for Laboratory based subjects such as Biochemistry and Engineering degrees. 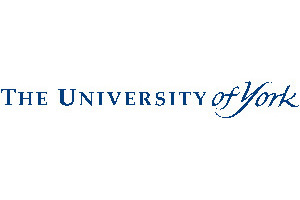 The University of York offers distance learning in Mathematical Finance, Human Rights and Humanitarian Studies, International Development, Health Economics, English Teaching and Public Policy and Public Management to Masters level. It also provides online study options for Mathematical Finance, Human Rights and Humanitarian Studies, International Development, Health Economics, English Teaching and Public Policy and Public Management at PGCert level; History and Heritage, Creative Writing and Railway Studies at PGDip level.